John is a mediator and arbitrator with ADR Chambers. John brings over 40 years of experience in the insurance industry to his mediation practice. He has mediated personal injury and motor vehicle accident disputes, medical malpractice and complex medical issues, complex damage claims to property and environment, catastrophic injury claims, wrongful death claims and professional and product liability disputes. John graduated with his B.A. in 1968 from St. Lawrence University in Canton, New York and with his LL.B. from the University of Western Ontario in 1971. 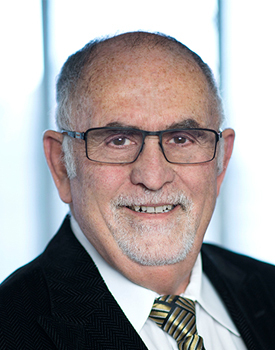 He was called to the Bar in Ontario in 1973 and practiced exclusively as a civil litigator, and was certified as a specialist in civil litigation from 1991. He is a member of the Advocates Society and Middlesex Law Association. He has been asked to lecture for the Law Society, Advocates’ Society and University of Western Ontario Law School. John was formerly a Practice Reviewer in the Practice Review Program for the Law Society Ontario. John resides in London, Ontario, and is willing to travel.